If you search for ‘pure bliss’ in the Dictionary, it’ll read something along the lines of: reclining back after a hard day’s work on a sunny lounger with an overflowing G&T. Promise. 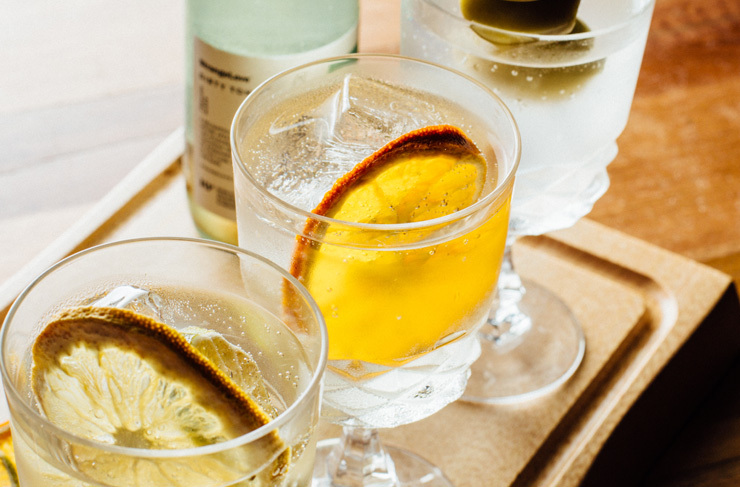 Whether you’re a gin aficionado, or a recent addition to the fanclub (perhaps after one too many tumultuous nights of vodka-fuelled antics), we’re rounding up all of the fancy AF drops that you’ve gotta add to the bar cart immediately. Look at us go. So gin-erous. Boy, does this gin have some seriously impressive accolades. It’s hotter than most 20-something-year-olds’ resumes. 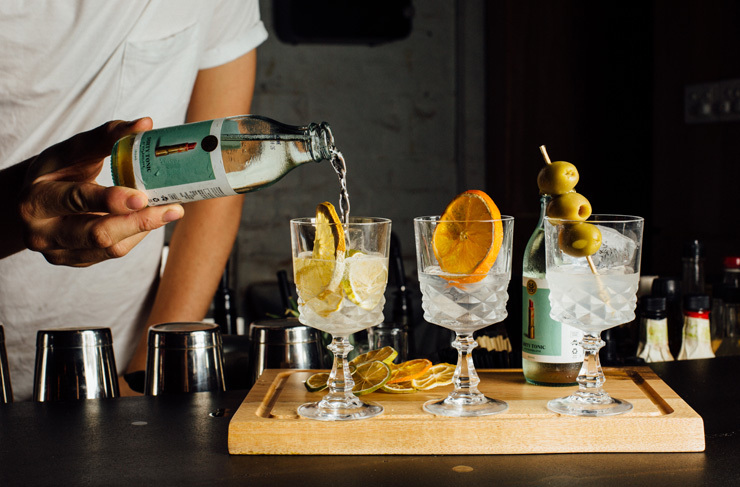 Awarded three double gold medals for an indulgent blend of cinnamon, Tasmanian pepperberry leaf, and lemon myrtle, it’s no surprise that even the most refined gin drinkers have lauded this guy as a modern Aussie hero. This one is PINK, okay. That’s pretty much all it took to get us excited. But the redskin hue isn’t hiding a sh*tty gin. Heck no. Infused with cherries (cerise = cherry in French if you don’t speak baguette) and raspberries plucked from Red Hill, this dreamy iteration has made its way into Australia’s fanciest cocktail saloons, and gin-drinkers’ wish lists everywhere. Turns out, a ‘yardarm’ is actually the horizontal spar that supports the sails on an old sailing ship. Rumour has it that once the sun has risen above the yardarm, it’s time for gin numero uno of the day. Like a gin clock. This game-changer from Hurdle Creek Still is infused with coriander, citrus, pink peppercorns, hops and lemon myrtle. Get it in your glass. A gin made in collab with The Craft and Co. (aka one of our favourite Collingwood locals), Artemis is a highly perfumed, evocative mash-up of dried orange peel, woody juniper berry and dried coriander. If you have superhuman tasting tendencies, there’s also hints of liquorice root, black pepper and crushed eucalyptus leaf in there. Time to get spirited away. Think bold flavours of mandarin, kaffir lime, white sesame, galangal and ginger, with an even bolder technicolour bottle. You’ll be getting inebriated from a cultured ode to Australian and South East Asian influences. Gin-ius. A true blue Aussie gin, Remedy is a punchy concoction rife with juniper, eucalyptus, pine, green tea, shiso and honey. The distillers behind the drop are all about creating spirits that flaunt the landscape from which they’re derived. Down the hatch it goes. The label just says ‘Gin’, which is really all you need to know. Applewood operates in citrusy nuances, honing in on flavours like Finger Lime. Also, the packaging screams sophistication and channels an almost Aesop skincare-y aesthetic. This badboy is best mixed with quality, dry tonic and garnished with wild thyme before you embark on your wild time. Not just a name for you after one too many bevs on a Saturday night, The Larrikin is a gin with sugar, spice and everything nice. More discerning gin connoisseurs will decipher hints of lemon myrtle. On the drinkability scale, this one ranks a firm 11/10. Dasher and Fisher are actually two wild rivers than run through Tasmania’s north-western hinterland. This gin is made from copper pot distilling botanicals derived from the growers that dwell there. Pretty bloody neat. There’s aromas of seaweed, ocean spray and fresh rose petal. So we might also wear it as a perfume TBH. Get your garnish game on with this floral contender from Alchemy Distillery. A wedge of pink grapefruit on top will make this one of the most insta-worthy G&Ts to enjoy pool-side. Chamomile flower is the key botanical in play, with a whole heap of delish undertones like vanilla, honey, aniseed and rosemary. Well, cheers. The boys from Patient Wolf spent three years perfecting this recipe, and you can taste the effort. 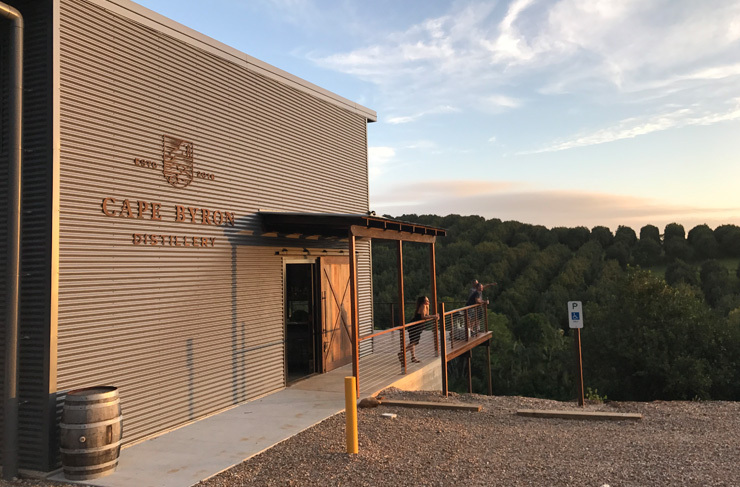 It's one of the best dry gins in the country, brewed in their custom-built German 230L Muller copper still. There's a mix of traditional and native botanicals in the blend, including juniper berries, coriander seeds, orris root, angelica root, cardamom, cubeb pepper and the very rare tonka bean. Deee-lish. It's never to early to start Christmas drinking, especially when it comes to this thing. This is an honest-to-god pavlova gin. How do you do that? You infuse botanicals like strawberry gum, river mint, lilly pilly, finger lime and passion berry. Serve over ice with a dash of cranberry soda. Heaven in a glass right there. Brookie's is the new one from the guys at Cape Byron, and it packs quite a wallop. It's meant to taste like the Byron Bay hinterland and the sub-tropical rainforest of the northern rivers. Cape Byron pretty much plundered natives for this one: think notes of Finger Limes, Aniseed Myrtle, Cinnamon Myrtle, Macadamia, Native River Mint and Native Raspberry. Yum scrum. How far would you go for a good gin? Check out our wrap of Victoria's best regional distillery doors.